[S542] United States Federal Census, Washington, District of Columbia, Population Schedule: Warrenton, Marshall, Alabama; Emuneration District: 91, Supervisor District: 7, Sheet: 1A, Dwelling: 7, Family Number: 7, Date: 1900. [S544] United States Federal Census, Washington, District of Columbia, Population Schedule: Crawford, Marshall, Alabama; Emuneration District: 110, Supervisor District: 7, Sheet: 4B, Dwelling: 65, Family Number: 68, Date: 1910. [S545] United States Federal Census, Washington, District of Columbia, Population Schedule: Arab, Marshall, Alabama; Emuneration District: 48-31, Supervisor District: 2, Sheet: 14B, Dwelling: 277, Family Number: 292, Date: 1930. [S546] United States Federal Census, Washington, District of Columbia, Population Schedule: Arab, Marshall, Alabama; Emuneration District: 48-31, Supervisor District: 2, Sheet: 14B, Dwelling: 274, Family Number: 289, Date: 1930. [S547] Carl Bagwell, Number: 417-20-3542, SSDI: Carl Bagwell, unknown series. J.W. Bagwell was born on 15 April 1918 in Arab, Marshall County, Alabama.1 He was the son of William Cager Bagwell and Mary Edith "Mamie" Cox.1 He served in the United States Marines during World War II and was honorably discharged on October 10, 1945. J.W. Bagwell died on 28 October 1995 in Dougherty County, Georgia, at age 77. Doris Evelyn Bagwell was born on 21 August 1928 in Marshall County, Alabama.1 She was the daughter of Carl Clarence Bagwell and Dorothy Elizabeth Evans.1 As of after 1945,her married name was Holloway. Doris Evelyn Bagwell married Dallas Lavoid Holloway after 1945. Doris Evelyn Bagwell died on 25 June 2012 at age 83 Doris Holaway died on Monday at the age of 83 at home. Her funeral was Wed. June 27,2012 at Hopewell Baptist Church at 2:00 P.M. With Bros. Ennis Stone,James E. Pate, Greg Stone and Quinten Claburn officating. Burial was in the adjoining cemetery. She is survived by Daughter: Joyce H. McCrackin;Granddaughter: Stephanie(Marson) Gray; Grandson: Patrick ( Hope) McCrackin ; Adopted Granddaughter: Candace ( Austin ) Ely. Great Grandchildren : Liya,Addison, and Joshua Gray,and Nathan Burrell. Brothers : J.D. ( Sandra ) Bagwell, Clarence ( Jan ) Bagwell: Step -brother : David ( Doris ) Black; Sisters; Martha ( Oneal ) Kelley; Stepsisters Maxine Maze, Sue Borden. Husband; Lavoid Holaway, Son-in-law Thomas McCrackin; Sisters Melba Bodine, Mary Smith and Stepsisters ; Royce Dean Maze , Hazel Haney. She was buried at Hopewell Missionary Baptist Church Cemetery, Summit, Blount County, Alabama. Clarence Lafayette Bagwell is the son of Carl Clarence Bagwell and Dorothy Elizabeth Evans. Dallas Lavoid Holloway was born on 3 December 1922 in Blount County, Alabama. He married Doris Evelyn Bagwell, daughter of Carl Clarence Bagwell and Dorothy Elizabeth Evans, after 1945. Dallas Lavoid Holloway died on 22 June 2008 at age 85 Dallas Lavoid Holaway, 85, of the Hopewell community died Sunday, June 22, 2008, at his residence. Mr. Holaway was born Dec. 3, 1922, in Blount County to Clarence Hermon and Birtie Bailey Holaway. He was married to Doris Bagwell Holaway. He was a farmer and member of Hopewell Missionary Baptist Church. He is survived by his wife: Doris Holaway; daughter and son-in-law: Joyce and Thomas McCrackin of Arab; sisters: Irene Elliot of Jasper and Laverne Brown of Arab; grandchildren and in-laws: Stephanie and Marson Gray, Patrick and Hope McCrackin and Candace McCrackin; and great-grandchildren: Liya Gray, Addison Gray, Ashley McCrackin and Nathan Burdell. He was preceded in death by his twin sons. The funeral will be at 2 p.m. today, June 25, 2008, at Hopewell Missionary Baptist Church with the Rev. James Earl Pate, the Rev. Ennis Stone and the Rev. Lynn Buchanan officiating. Burial will be in the adjoining cemetery, with Gober Funeral Chapel directing. Pallbearers will be Oneal Smith, Raymond Bodine, Phillip Bagwell, Carlos Elliot, Glenn Pumphrey and Tom Smith. He was buried at Hopewell Missionary Baptist Church Cemetery, Summit, Blount County, Alabama. Martha Bagwell is the daughter of Carl Clarence Bagwell and Dorothy Elizabeth Evans. Martha Bagwell married Oneal Kelley after 1935. Oneal Kelley married Martha Bagwell, daughter of Carl Clarence Bagwell and Dorothy Elizabeth Evans, after 1935. Mary Magdalene Bagwell was born on 17 May 1934 in Alabama. She was the daughter of Carl Clarence Bagwell and Dorothy Elizabeth Evans. As of after 1940,her married name was Smith. Mary Magdalene Bagwell married Verdell Smith after 1940. Mary Magdalene Bagwell died on 28 February 2011 in Arab, Marshall County, Alabama, at age 76 Mary Bagwell Smith, 76, of Arab died Monday, Feb. 28, 2011, at her residence. Mrs. Smith was born May 17, 1934, in Alabama to Carl and Dorothy Evans Bagwell. She was married to Verdell "Smitty" Smith. 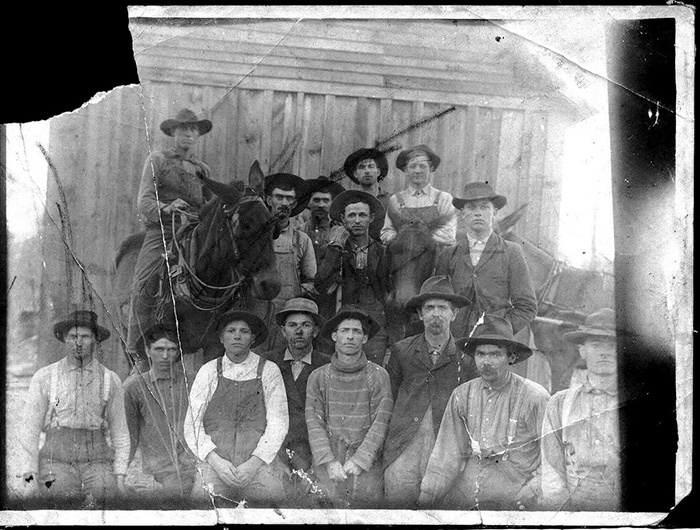 She is survived by her sons: Ernest Roy "Pete" Smith and Oneal Smith of Arab, Michael Smith of Huntsville and Larry Smith of Arab; daughters: Dorothy York and Sandra Pitts of Arab; husband: Verdell "Smitty" Smith of Arab; brothers: James D. Bagwell of Guntersville and Clarence Bagwell of Arab; sisters: Doris Holaway of Hopewell and Martha Kelley of Arab; nine grandchildren; 11 great-grandchildren; and a host of nieces and nephews. She was preceded in death by son: Mark Ray; and sisters: Ivar J. Bagwell and Melba Ruth Bodine. The funeral was at 3 p.m. Thursday, March 3, 2011, at Hopewell Missionary Baptist Church with Arnold Hope and James Earl Pate officiating. Burial was in the adjoining cemetery. She was buried at Hopewell Missionary Baptist Church Cemetery, Summit, Blount County, Alabama. Verdell Smith married Mary Magdalene Bagwell, daughter of Carl Clarence Bagwell and Dorothy Elizabeth Evans, after 1940. Melba Ruth Bodine, 74, of Arab died Sunday, Sept. 11, 2005, at her residence. Mrs. Bodine was born March 5, 1931, in Marshall County to Carl Clarence Bagwell and Dorothy Elizabeth Evans. She was married to Nelson Bodine, who passed away in 1983. She was a homemaker and member of Hopewell Baptist Church. She is survived by three sons and two daughters-in-law: Jimmy Bodine, Raymond and Regina Bodine and Edward and Shirley Bodine of Arab; daughter and son-in-law: Michele and Kean Harvey of Arab; two brothers and sisters-in-law: J.D. and Sandra Bagwell and Clarence and Jan Bagwell of Arab; three sisters and two brothers-in-law: Doris and Lavoid Holloway, Mary Smith and Martha and O'Neal Kelley of Arab; 12 grandchildren; three step-grandchildren; seven great-grandchildren; an a host of nieces and nephews. Funeral services were at 3 p.m. Tuesday, Sept. 13, 2005, at Hopewell Baptist Church, with Greg Stone and James Earl Pate officiating. Burial was in New Brashiers Chapel Cemetery, with Gober Funeral Home directing. James Nelson Bodine was born on 30 May 1928 in Marshall County, Alabama. He married Melba Ruth Bagwell, daughter of Carl Clarence Bagwell and Dorothy Elizabeth Evans, on 11 October 1948 at Marshall County, Alabama. James Nelson Bodine died on 29 August 1983 in Marshall County, Alabama, at age 55. He was buried at Brashiers Chapel Cemetery, Arab, Marshall County, Alabama. Carl Raymond Bodine is the son of James Nelson Bodine and Melba Ruth Bagwell. Carolyn Michele Bodine is the daughter of James Nelson Bodine and Melba Ruth Bagwell. 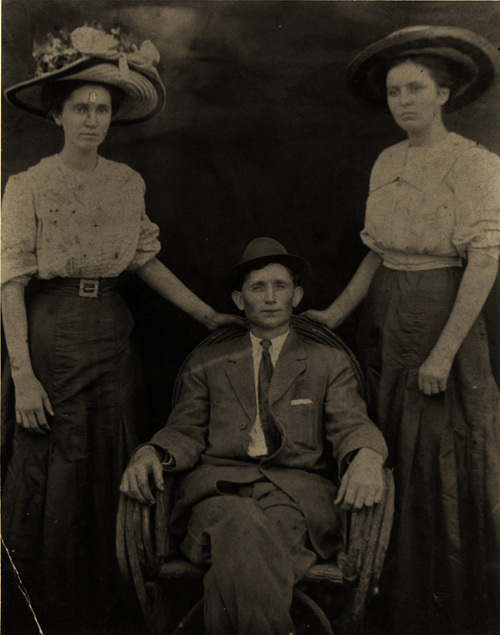 Edward Earl Bodine is the son of James Nelson Bodine and Melba Ruth Bagwell. James Nelson Bodine is the son of James Nelson Bodine and Melba Ruth Bagwell. Claudie Mae Black married Carl Clarence Bagwell, son of William Cager Bagwell and Mary Edith "Mamie" Cox, on 2 July 1955 at Marshall County, Alabama. Savannah Isabelle Bagwell was also known as Savannah Elizabeth Bagwell.4 She was born on 3 April 1900 in Arab, Marshall County, Alabama.1,2,3,4 She was the daughter of John Cicero Bagwell and Martha Bradley Smith.4 As of 17 November 1917,her married name was King.4 Savannah Isabelle Bagwell married Edgar King on 17 November 1917.3,4 Savannah Isabelle Bagwell and Edgar King lived circa 1973 in Union Grove, Marshall County, Alabama. Savannah Isabelle Bagwell died in June 1986 in Union Grove, Marshall County, Alabama, at age 86. Edgar King was born on 11 April 1896 in Arab, Marshall County, Alabama.1 He married Savannah Isabelle Bagwell, daughter of John Cicero Bagwell and Martha Bradley Smith, on 17 November 1917.1,2 Edgar King was a farmer at Marshall County, Alabama.1 He and Savannah Isabelle Bagwell lived circa 1973 in Union Grove, Marshall County, Alabama. Edgar King died on 12 May 1979 in Union Grove, Marshall County, Alabama, at age 83. 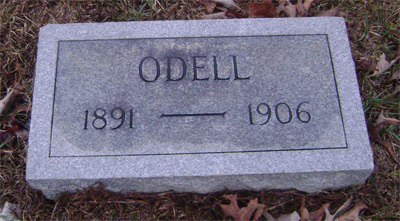 He was buried at Brock's Chapel Cemetery, Marshall County, Alabama. [S3874] Email from Email - Jami Lynn dated March 2017 to Hunter Wayne Bagwell; Subject Line: Jami Lynn Family. [S2200] Email from JC Whitaker dated April 2012 to Hunter Wayne Bagwell; Subject Line: Descendents of Billy Joe Cagle and Eloise Bagwell. [S592] United States Federal Census, Washington, District of Columbia, Population Schedule: Oleander, Marshall, Alabama; Emuneration District: 48-15, Supervisor District: 2, Sheet: 11B, Dwelling: 235, Family Number: 239, Date: 1930.